In partnership with the Dunham Fund and the Kane County ROE, KEEP is proud to be a sponsor of the Kane County Regional Spelling Bee! 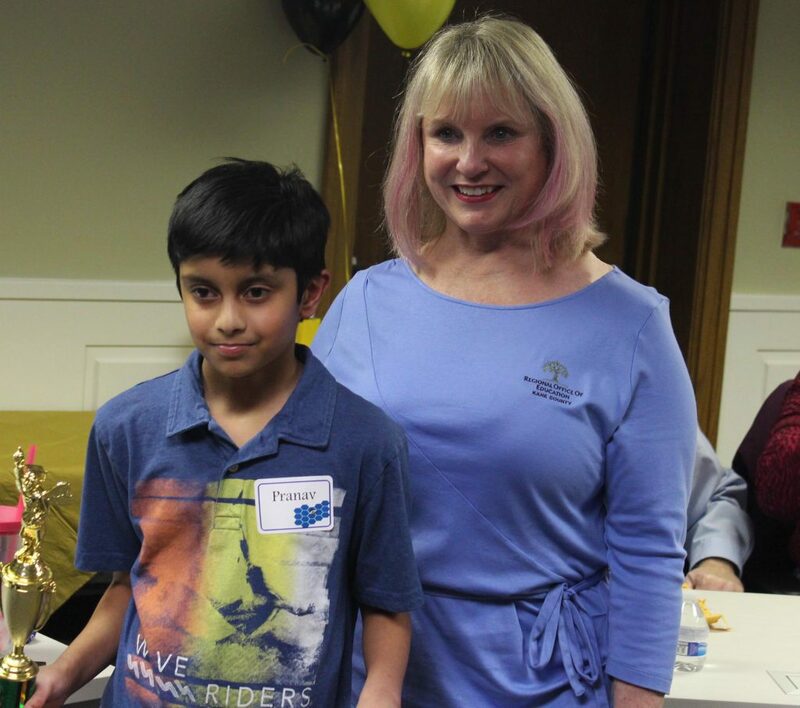 Pranav Kollu, a District 300 student from Cambridge Lakes Charter School, was crowned champion of the 2018 Kane County Spelling Bee on March 14th. Sponsored by the Dunham Fund and the Kane Excellence in Education Partnership, Pranav Kollu and his family were flown to Washington D.C. to compete in the Scripps National Spelling Bee on May 27th – June 1st, 2018. Pranav was speller number 183 of the 519 spellers that competed in the National Spelling Bee. Eight students competed in the 2018 Kane County Spelling Bee for this opportunity to compete in the Scripps National Spelling Bee. KEEP would like to thank the local sponsors that provided prizes for the students competing in the 2018 Kane County Spelling Bee.